Shirdi Sai Baba Stories,Leelas and Teachings. : Sai Baba's Blessing For My 9 Thursday Vrat-Experience By Lakshmi. Sai Baba's Blessing For My 9 Thursday Vrat-Experience By Lakshmi. Baba has given importance to pure devotion rather than any rituals.Still devotee follows different way to express their love towards Him and Baba always shower His blessing no matter which way the devotees follows. Here is one such experience shared by Sai devotee Lakshmi.Jai Sai Ram. First of all I want to thank and also congratulate you for creating such a wonderful website. I really feel very happy when I read our friends experiences and I was strongly motivated by many of them to share my experiences with all of you.I am blessed to be a part of our website. Now I'm sharing my most recent experience with our Baba. I'm a regular viewer of this blog from the past one year. In August 2010, as usual when i was going through your website, the words that strcuk my eyes was 'SAI 9 THURSDAY VRAT'. Immediately I clicked on it to know the details, the very next minute I got a call from my husband. He told me that our status in the process of getting GC has been updated that we were granted GC. I was spell bound. I was thanking SAI several times for giving us what we were waiting for. Immediately I decided that I should do the VRAT. I left to India in sep 2010, and I had a wonderful darshan of our SAI in SHIRDI, and returned in feb 2011. I started SAI's VRAT in March.I downlaoded the vrat content from our website(in Eng).My native language is telugu.I didnt find telugu version so I went for English.The 1st week when I was doing the puja, I felt the letters were too small to read, and finished my puja. 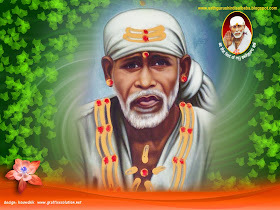 During this week I was feeling it would be nice if I get the telugu version also.Like daily when I was going through our blog on wednesday, the first new article I found was, SAI VRAT STORY, CHALISA in telugu that you had uploaded. My happiness have no bounds.I felt like Sai recieved my prayers, and gave this to me as prasad and blessing. It didnt end with this.On the last week of the vrat, we should distribute atleast to 5members, the books of SAI vrat.Again I was thinking it would be nice if I could get whole book of SAI VRAT in Telugu.I have time , so I left for SAI. My parents came to Hydrabad from my home town.I told my Dad to look for the vrat book in telugu if he could get one.I told my mom about my vrat and told her also if she could get the Sai Vrat book in telugu.My dad told me that he searched in a few books stalls in some areas but could not get it.I called my mom on thursday(morning here in US), and found my mom with full excitement, and she wants to tell me something and it goes like this. Being thursday, my mom and my aunt went to Baba's temple.They had darshan, pujari is distributing prasad.My mom's turn came and her eyes fell on the book in the prasadam plate.With astonishment she went a little bit near and read the book. To her surprise its SAI VRAT BOOK IN TELUGU. Immediately she asked the pujari where she can get the book. He told he had no idea, somebody came and gave the book.He handed the book to my mom to take if she wants.She was so thrilled and was very happy.At the same time I too was very happy as I felt that I got the blessings of our Sai for my vrat. My happiness knew no bounds.All our Sai friends would know my situation. My dad sent it through email, and by 5th week of my vrat I got the telugu version. In this regard I felt I should attach a copy to you also, so that it would be helpful to someothers like me. I finished 8weeks of my vrat now.Everyday morning the very first thing I do is I switch on the live darshan in Shirdi.You know until now every thursday Baba's dress would be Yellow(once during the day).I feel very happy as I feel Baba is enjoying my vrat and HE wants to show me that HE is wearing Yellow dress to make me happy on that particular day. One thursday I couldn't see the live darshan as it didn't open on that day.I felt very bad as I missed to see what color Baba wore on that day.I was asking Baba, why Baba?You are not allowing me to see the color of your dress today. At night I sing Shej arti and see Baba's picture and go to bed. But that after finishing shej arti I felt to open our blog.So I opened.The article that attracted me was a picture of BABA's smiling face. I opened and the leela is like this. One of our friends was thanking Baba for wearing YELLOW dress on thursday and praising Baba's glory. Tears rolled in my eyes. I thanked Baba from the bottom of my heart for His kind heart and letting me know that He wore Yellow dress on that day also.He answered my prayers and He is with me all the time, not only when I think of Him. I want to thank Baba by posting my experience. THANK YOU BABA FOR BEING WITH ME AT ALL TIMES AND BLESSING ME WITH THIS LIFE.I WISH I SHOULD GET CLOSER TO YOU DAY BY DAY AND SHOULD EXPERIENCE YOUR PRESENCE ALWAYS. Manisha ji, sorry if my post is lengthy, I wanted to let you know all the details. Devotee who wish to download Shri Sai Vrat in Telugu can do by clicking Here. As my family is facing so many problems, so i planned to do 9thrusday sai vrat. when i asked for the book in sai temple. they discourged my thought by telling not to do sai vrat pooja read only sai satcharitha. I am in big confusion right now... please help me in this issue. Baba never stressed on any rituals or prescribed ways of worshiping him . He is only ruled by our love ,devotion and sincere faith on HIm .Nothing is wanted by Baba from our end. 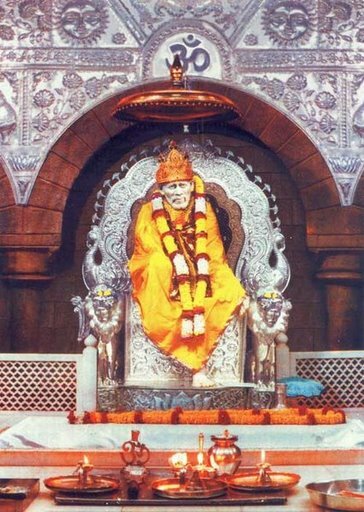 If you feel like reading Sai Satcharitra go for it ,if you feel you are better doing a Sai vrat than go for it ,but do what you feel you can do with sincerity and devotion rest leave the result for Baba to bless.Sai Satcharitra is definitely the ultimate divine grace of Baba on His children ,one must read or do its parayan as many times a person can but what is wanting in all the rituals or praying and worshiping is complete faith and devotion towards Sainath . So decide as you are guided by Baba in your thoughts and go for it . Nothing is good or bad .If you hav any more doubt or question do not hesitate to ask . I have a small question regarding the diet that we are supposed to follow on the Thursday during th Vrat. Can you plz tell me.. if I can have Fruits/Milk/Tea.. during the day.. ALONG with just 1 Full meal in the evening?? or is it that I can either maintain my fast with only Fruits/Milk/Tea, etc or ONLY just 1 Full meal. Sai please give good health to my children.